Green Cleaning can be defined as “cleaning that protects health without harming the environment.” We at J&E Associates believe it will be a requirement for all Building Contractors in the future but we are not waiting. We have already started integrating Green Cleaning into our work for our customers. 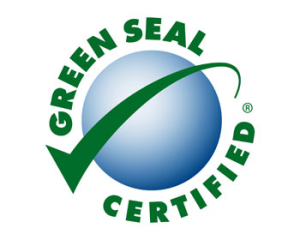 We offer chemicals that are “Green Seal Certified” and do not sacrifice effectiveness. Our ultimate goal is to keep your facility clean and protect human health! Ask about our Green Seal Certified chemicals !